Recently, ‘80s glam rock stalwarts Motley Crue announced that their upcoming 2014 tour would be the band’s last. To allay the cynicism of anyone who went to see the Kiss Farewell Tour in 2000 (Kiss will be out on tour again this summer, having toured nearly every year since 2003), the members of Crue all got together and signed a death pact that guaranteed they would break up at the conclusion of their tour with Alice Cooper. Dodge will be the primary sponsor of Motley Crue: The Final Tour—which begins in July—they they have not signed any kind of death pact with the band (as far as we know). It is entirely possible that Kuniskis then stepped out from behind his podium to reveal that he had been wearing skin-tight pleather pants the entire time, produced some lighter fluid and a lit match, and set his leg on fire whilst throwing up devil horns. It is entirely possible, but not at all likely (we certainly can’t get any sources to confirm it, anyway). 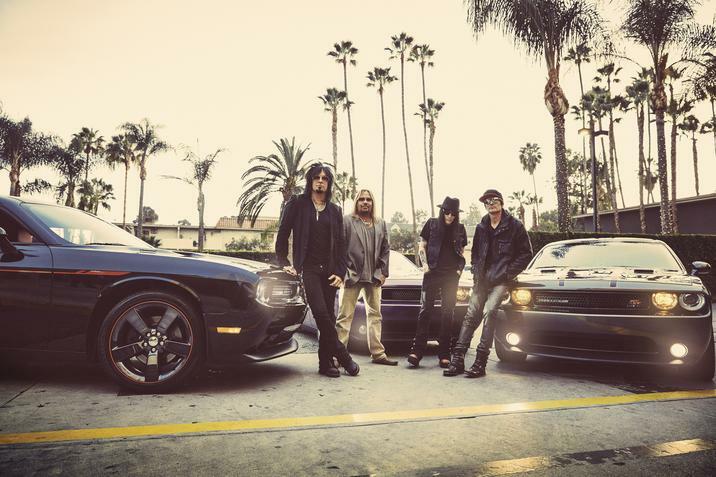 The aforementioned Motley Crue tune, “Kickstart My Heart,” has featured in three commercials—entitled “Uncle,” “Dream Job,” and “Engine Note”—for Dodge’s Charger and Challenger muscle cars. For dates and information on Motley Crue: The Final Tour, visit their website. So let us know: do you plan on rocking out when Motley Crue: The Final Tour stops near your town? Do you plan on teasing up your hair and donning your leather pants?